The southern tip of New Zealand’s South Island is truly spectacular. We enjoyed an hour or two at Waipapa Point Lighthouse. I sketched whilst James admired the sea lions basking on the rocks below! Love lighthouses! Makes me want to go to the coast. Both seem like a great way to spend some time. This is beautiful. I wish they would have a “Love This” button! Your sketches are beautiful! 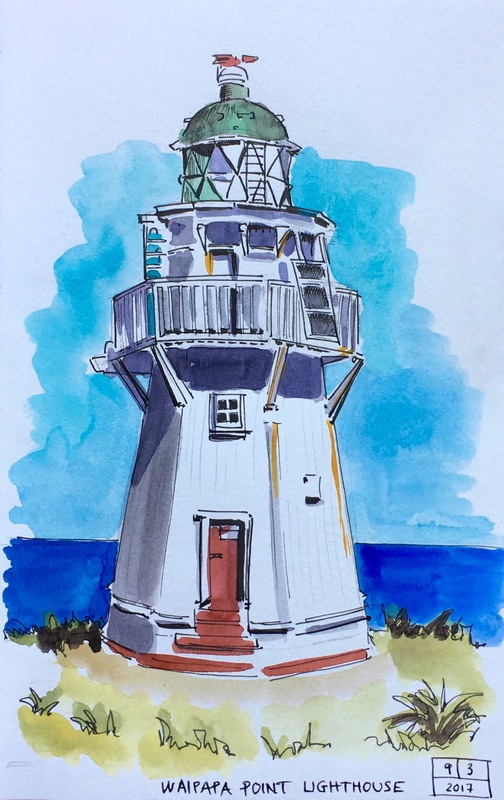 Pingback: Waipapa Point Lighthouse — Tabitha’s sketchbook — С любовью к людям! Pingback: Waipapa Point Lighthouse — Tabitha’s sketchbook — До каждого с миром!